A powerful narrative and classic of 20th-century literature, 1984 creates a nightmare world of continuous war, government surveillance and propaganda.First published in 1949,George Orwell's dystopian novel follows the life of Winston Smith, a humble functionary of ‘the Party’ and his frustrated love life under the overarching gaze of the ruler, ‘Big Brother’. 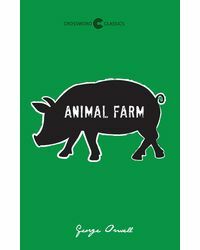 Winston, who keeps a secret diary of his thoughts, enters into a battle for freedom and justice along with Julia, his lover—in a world where brainwashed people do not see the oppression of the Party. In Big Brother’s world, even thinking of rebellion is a ‘thought crime’. A distorted language, ‘newspeak’ that contains no negative terms is engineered to remove the possibility of political uprisings, telescreens detect any instance of revolt—monitoring every conversation between Party members. Anyone who disobeys the Party is sent to the dreaded Room 101—what awaits them is torture and re-education. Winston and Julia’s life too,moves towards the tragic inevitable. Orwell’s novel is a cautionary tale against mass media control and totalitarianism, and still holds true in the early years of the 21st century. A visionary novel, it reiterates the continued need for humankind to resist unreasonable leaders and oppression. 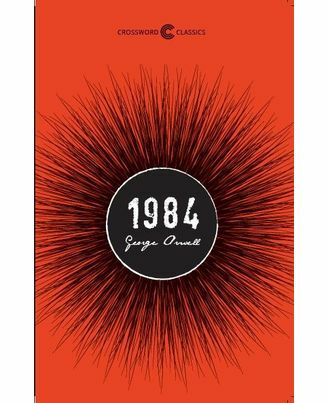 A powerful narrative and classic of 20th-century literature, 1984 creates a nightmare world of continuous war, government surveillance and propaganda.First published in 1949,George Orwell's dystopian novel follows the life of Winston Smith, a humble functionary of ‘the Party’ and his frustrated love life under the overarching gaze of the ruler, ‘Big Brother’. 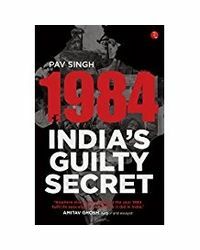 Winston, who keeps a secret diary of his thoughts, enters into a battle for freedom and justice along with Julia, his lover—in a world where brainwashed people do not see the oppression of the Party.In Big Brother’s world, even thinking of rebellion is a ‘thought crime’. A distorted language, ‘newspeak’ that contains no negative terms is engineered to remove the possibility of political uprisings, telescreens detect any instance of revolt—monitoring every conversation between Party members. Anyone who disobeys the Party is sent to the dreaded Room 101—what awaits them is torture and re-education. 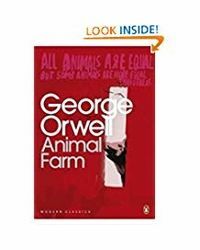 Winston and Julia’s life too,moves towards the tragic inevitable.Orwell’s novel is a cautionary tale against mass media control and totalitarianism, and still holds true in the early years of the 21st century. A visionary novel, it reiterates the continued need for humankind to resist unreasonable leaders and oppression.